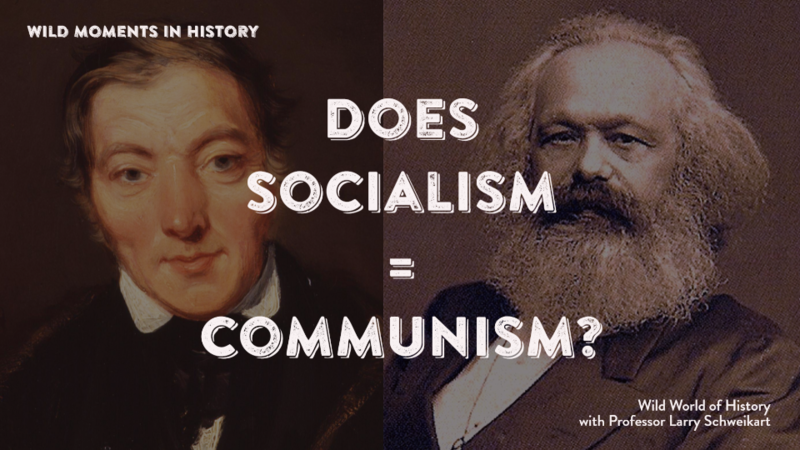 Did you know that communism as Karl Marx outlined it and socialism as Robert Owen described it are EXACTLY the same in core beliefs? It’s common to hear, “Well, there is a difference between socialism and communism,” as though socialism is less harmful or philosophically fraudulent. In fact, as historian Paul Johnson showed, Karl Marx almost never came up with an original idea. He much preferred to steal other people’s concepts, then claim credit for them—often criticizing and demeaning those he just stole from! Robert Owen was the father of “socialism,” creating the term in 1827. Having failed in a socialist experiment in New Lanark, Scotland, Owen concluded that the only problem was his location, not his theory itself. He applied for a grant of land in Indiana, which was granted. Owen’s idea of “socialism” rested entirely on the “Labor Theory of Value,” in which only physical labor makes value. Talent, ideas, skill, management, inventiveness do not count in creating value, only work. When Karl Marx read of Owen’s concept of “socialism,” it was exactly what he believed, but he could not credit Owen with the ideas. So he changed the term to “communism,” but retained the Labor Theory of Value. It is true that there much more to Marx’s theory, especially class struggle—but that was secondary to the essence of his economics. And it is key that there is no essential difference between socialism and communism. By the way, Thomas Sowell, whose doctoral work was on Marx and Marxism, splits hairs by saying the Labor Theory was not a “theory,” but the usually convincing Dr. Sowell fails to persuade on this topic. For further information, see Paul Johnson, Intellectuals.